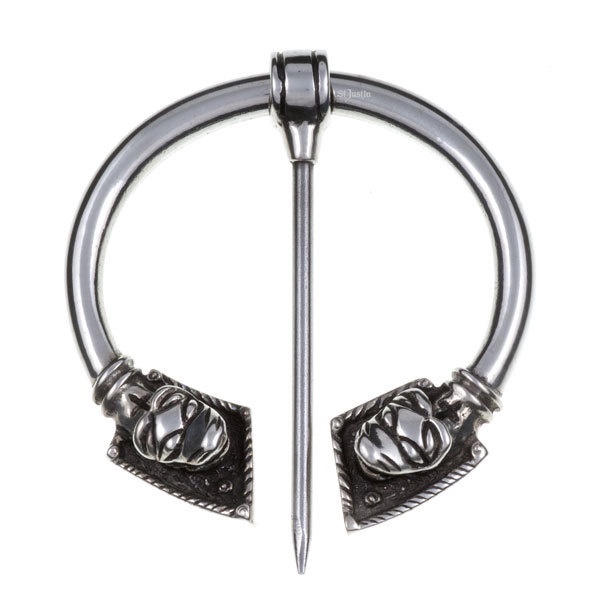 Pewter penannular serpent brooch/fastener with carbon steel pin. The pin is pushed through a loose weave garment and secured by rotating the circular section over it, just as it would have been used 1000 years ago. Suitable for use with loose weave fabrics only. In Celtic lore the serpent is the image of light, life and divine wisdom. Coming from deep within the earth, it was believed to hold secrets and be the guardian of hidden riches, metals, medical cures and esoteric knowledge.